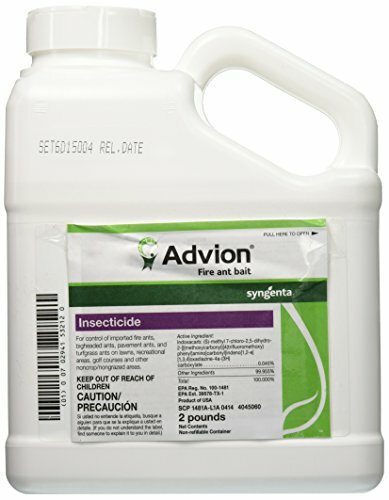 Advion is a trusted line of insect-killing products. If you’re looking to tackle a tough infestation with a powerful brand, Advion may be the one for you. 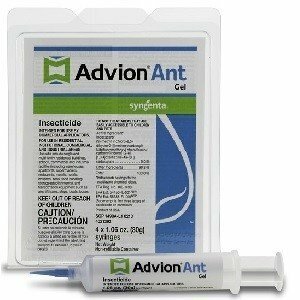 Read on to learn about some of Advion’s best gel products for killing ants. Ant problems are annoying and tough, but it shouldn’t be hard to get rid of them! Easy to use with no setup. Mess-free and leaves no residue. Several stations come in one pack. Gel attracts ants and ant colonies. Slow-acting active ingredient allows ants to pass on to the colony. Several customers reported ants ignoring the product. Advion gel stations, also referred to as a Bait Arena, come in packages of 30 arenas. Its active ingredient is an insecticide that is slow-acting, allowing ants to eat the bait and bring it back to their colonies to share with others. It’s designed to attract more and more ants until the colony and the queen are destroyed. The stations are easy to use and require no setup. Users just place the stations where they see the most ants and let the bait do the rest of the work. The stations are odorless and do not leave any messes or residues. Not safe to use around children and pets. Advion Ant Gel Tubes come in packs of four with one plunger and there is 30 grams per tube. They are very useful for areas that need careful application because you can strategically line areas where you see ants with the gel and when Advion Ant Get is consumed by the worker ants it is also taken back to the colony to be shared it kills the whole colony in a short period of time. It is for indoor use only and can be used around the house wherever you find ants coming in. Be careful not to treat areas that are easily accessible to children and pets. This gel is good for many types of ants such as carpenter, cornfield, ghost, harvester, and crazy just to name a few. You can expect the infestation to be gone within a few days. Forms a protective barrier so ants can’t get into your home. Doubles as bait to attack ants and their colony. Slow-acting bait allows time for ants to return home with poison. Covers up to 540 linear feet. Kills 15 ant species, including fire and carpenter ants. Not good to use around household pets. Advion’s Fire Ant Bait is powerful and fast-acting. The formula is designed to attract fire ants. It mimics food that fire ant would typically like but contains a strong poison. This poison is slow-acting in that it allows time for the ants to bring it back into their colony. Tough enough to take out colonies, this treatment can be broadcasted throughout your yard or used to target specific mounds. It attacks ants in all stages of life, also acting as long-term control. Advion is a product line of Syngenta. Syngenta is a global business that offers programs and services in landscapes, golf, sports turf management, ornamentals, aquatics, and more. Their SecureChoice Assurance program offers products regarding mosquitoes, fleas, ticks, scorpions, spiders, and ants. Offering several products in their Advion line, Syngenta strives to help customers live their lives uninterrupted. If you want to draw ants away from something in your home for a short while, then making a makeshift bait is okay, but if you want to get rid of the ants you will need to either consult an expert chemist, or to buy some of the quite cheap and quite reliable products on the market that will take care of this problem at least until the new colony comes to your home, when you will need to repeat the process. In the warmer months, you should not be surprised if you start to see more ants in your home. It is during this season that worker ants go on their searches for food and water. It doesn’t take long for a small ant problem to become large. The two most popular rooms for ants to gather in are kitchens and bathrooms. Kitchens are an obvious target for ants because that’s where all the food is. It’s likely that countertops and floors host a variety of crumbs. The sink provides a nice water source, too. To avoid an infestation, there are a few things you can do in your kitchen. For one, make sure you keep all food – especially sweet food – stored and sealed in plastic containers and bags. An obvious preventative method is to clean up any messes. Don’t leave food sitting out, and wipe down counters after preparing food. Clean up all spills that happen and be sure not to leave any sticky residues. A secret to keeping ants out of dry goods is to put a bay leave in them. This will keep the ants away. The scent repels ants along with other pests. Be sure to empty your recycling and trash regularly. Any items thrown in the recycling should be rinsed first. Any place that has excess moisture is a place that can attract ants. Bathrooms host tons of water, from the sink and the toilet to the shower or bath. Make sure to keep a clean bathroom, but don’t leave wooded areas too damp after washing. Products like shampoo, conditioners, and lotions with sweet smelling fragrances can also attract ants. Maintain a clean shower area and make sure these products aren’t overflowing. It doesn’t take long for a small ant problem to become large. Not every product works perfectly for every user. Fortunately, Advion has other products that can help you with other insect situations you may be dealing with. Read on to see other similar Advion products. 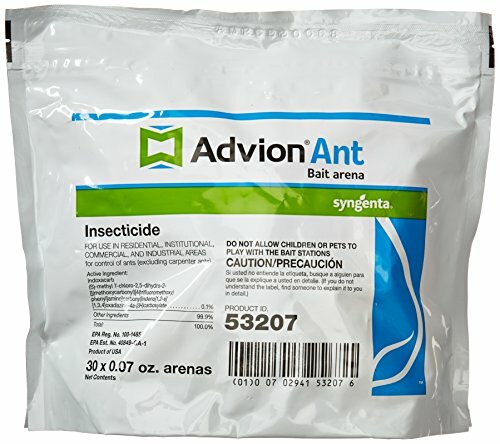 If you are not a fan of liquid or gel baits, Advion offers insect-killing granules in 25-pound bags. Though a higher price point, these granules will last you a long time and will be great for larger insect problems. These granules are formulated to target a wide variety of insects, extending past ants. It can also be used as either a concentrated treatment or a broadcasted treatment. Advion also has a wide range of cockroach killing products. These products include bait stations, gels, and granules that can all be used to attract and kill cockroaches. Some of these products work on other insects too, while certain ones only target the roaches. The best place to look for Advion products is on Amazon.